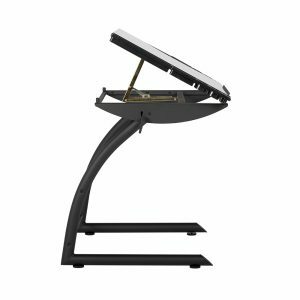 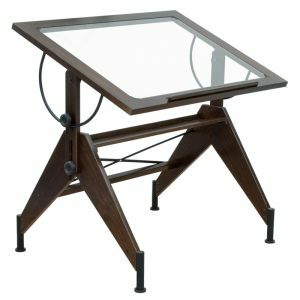 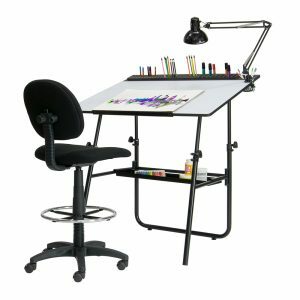 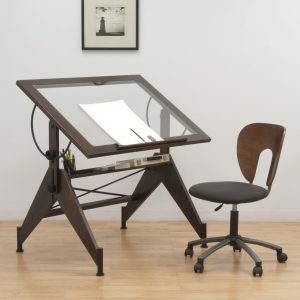 The Studio Designs Ultima 4 Piece Drafting Bundle includes our classic Ultima Foldaway Table, Ergo Pro Drafting Chair, LED Swing Arm Lamp and 42-inch Premier Metal Art Tray. 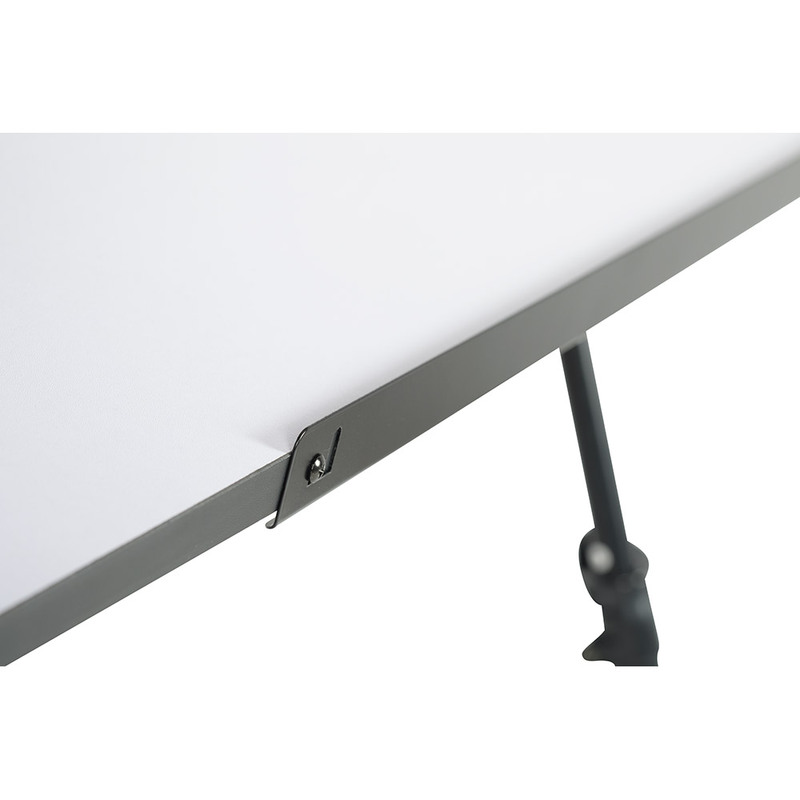 The Ultima Foldaway Table is height and angle adjustable. 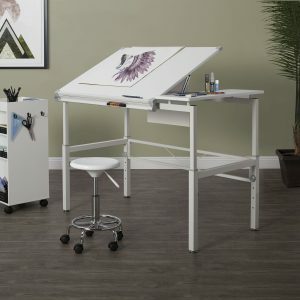 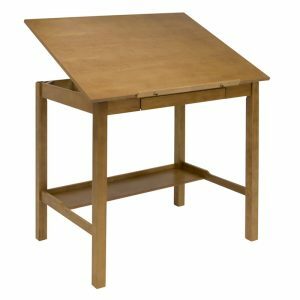 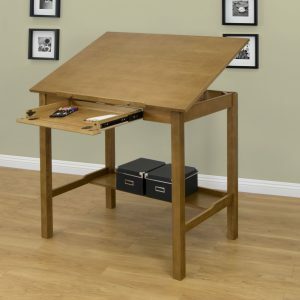 The large 42” W x 30” D top has a 24” pencil ledge that keeps your drawing pencils or markers from falling on the floor when the top is tilted. 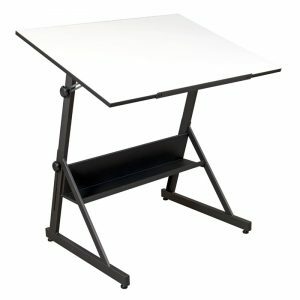 The height of the table can be adjusted from 31.5” to 48.5”. 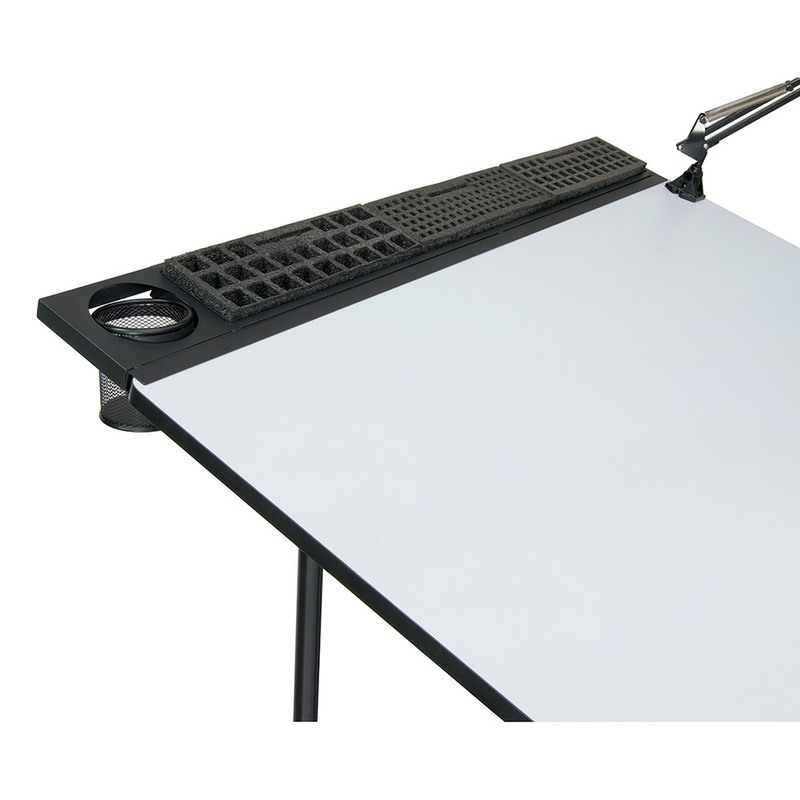 The top can be adjusted from 0-40 degrees. 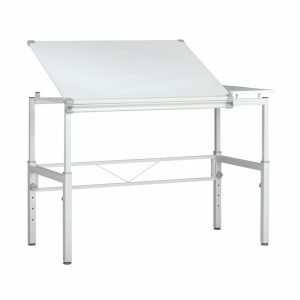 The 28.5” x 8” metal tray under the desktop provides extra storage and stability. 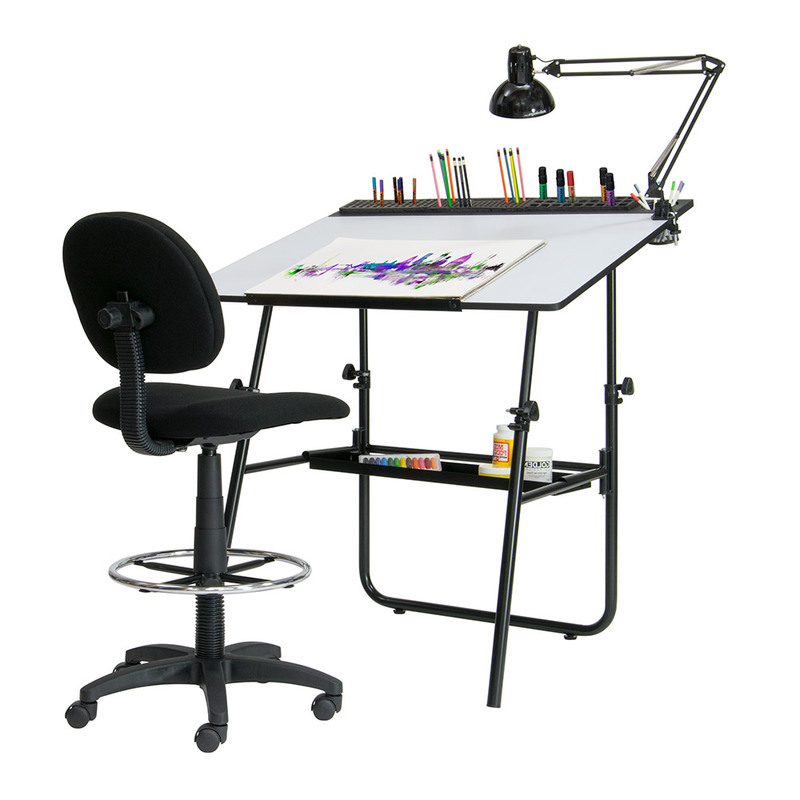 The legs fold easily for storage when not in use. The Ergo Pro Drafting Chair offers a contoured, form-fitting back and seat. 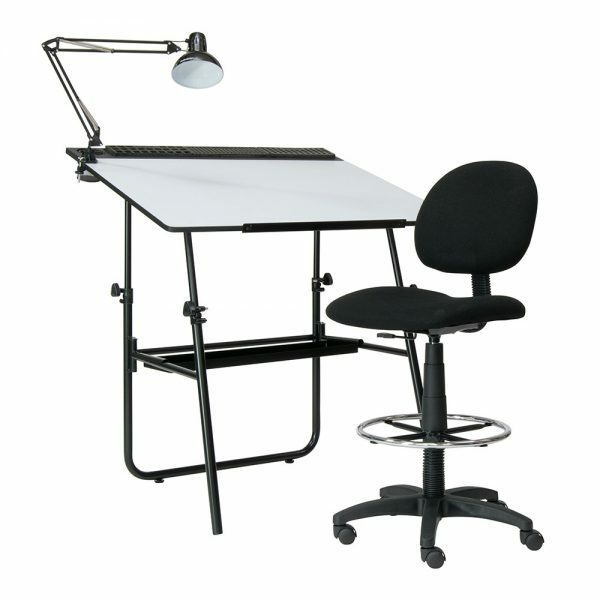 It can be used as a drafting chair or as a standard task chair when the chrome foot ring is removed. 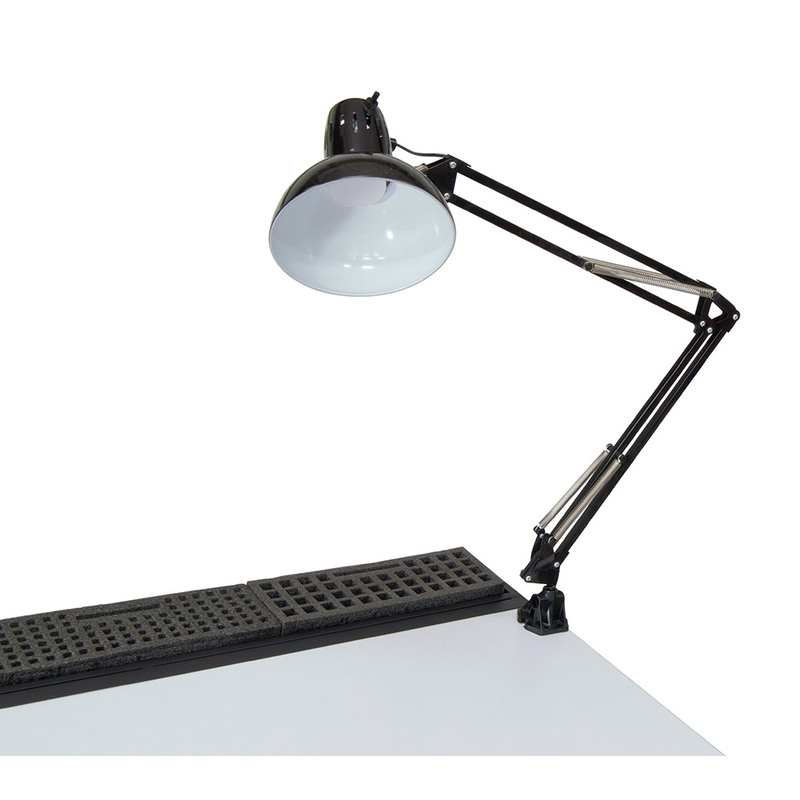 The LED Swing Arm Lamp has steel springs and tension knobs to position and lock it where needed. It provides a bright cool light that is 4,000 Kelvin and 422 lumens. 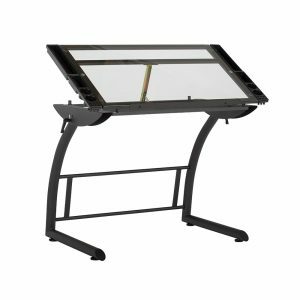 The 42” Premier Metal Art Tray has 3 removable foam trays with varying openings for organizing your pencils, markers, and tools. This durable metal storage tray easily attaches easily to the table top and has a metal mesh cup for brushes. 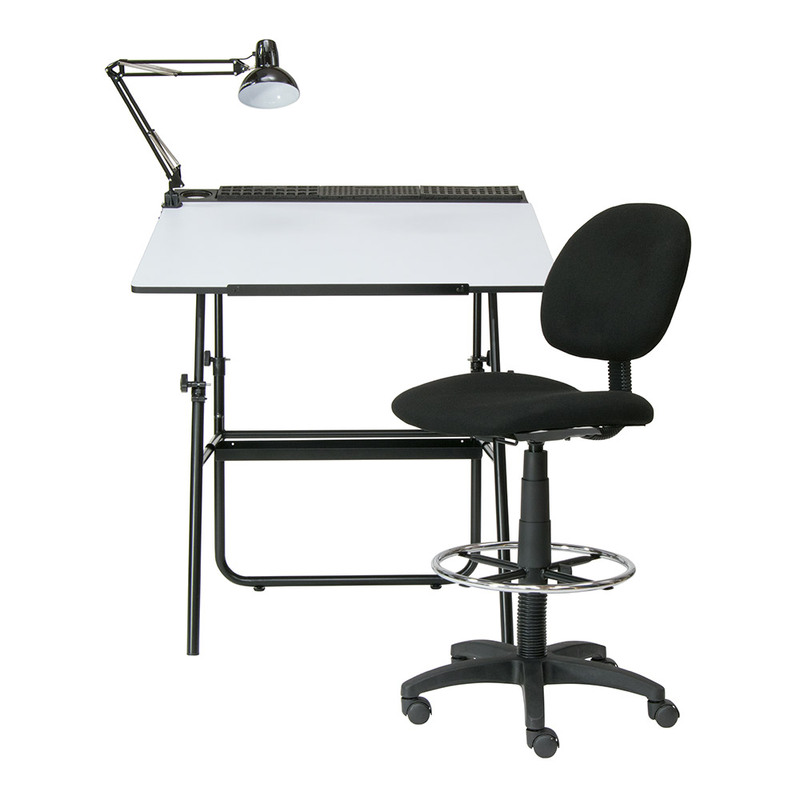 Minimum Height 31.5" – Maximum Height: 48.5"
Drafting Seat Height: 28.5" – 32.25"
Task Seat Height: 17.5" – 20.75"
Flexible Arm Extends Up to 36"